Everyone wants to see The Cole Train play! If you buy a new GeForce GTX 1070 or GTX 1080 between now and October 30, Nvidia will toss in a free game sure to make it sweat: Microsoft’s hotly anticipated Gears of War 4. The offer also extends to laptops with GTX 10-series graphics inside. Gears of War 4 marks the first time one of the Gears of War games releases on the PC at the same time as on Xbox, as part of Microsoft’s ambitious new Xbox Play Anywhere program. Once you unlock a Xbox Play Anywhere game, you can play it on either the Xbox One or PCs with the Windows 10 Anniversary Update installed, complete with cloud saves that let you pick up where you left off no matter which device you boot up. 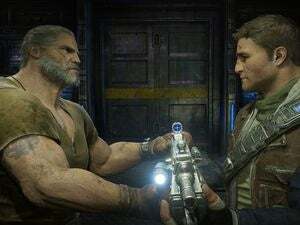 PC and Xbox gamers will also be able to play side-by-side in any cooperative mode, including Horde mode and the full campaign, according to Ars Technica. Full offline LAN play is supported for both consoles and PCs, and the Windows 10 version will even support split-screen multiplayer—an utter rarity for PC shooters. But all those awesome features aside, the game’s graphics are no doubt the reason Nvidia’s bundling Gears of War 4 with the GTX 1070 and GTX 1080. While “console ports” are often a dirty word among PC gamers, it sounds like The Coalition is doing Gears of War 4’s Windows 10 version justice. Beyond the aforementioned 4K support, this DirectX 12 game is packed with more than 30 separate graphics settings and compatibility for G-Sync, FreeSync, and HDR monitors. The PC version of Gears also includes “Insane” graphics options designed to push the limits of, well, insanely high-spec multi-GPU graphics card loadouts and powerful hardware that hasn’t even come out yet. 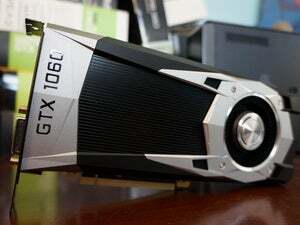 Even a system equipped with a GeForce GTX 1080 and a Core i7 processor couldn’t handle Insane settings at a smooth 60 frames per second, Ars reports. “Unlike other games that I worked on in the past where we’ll build the console version first and have some people port it over to a PC later on, here we’ve had a whole team of guys dedicated to building the PC version from the ground up to make sure it’s the best experience possible—from the visual customizations right down to the mouse-and-keyboard controls,” Gears of War 4’s creative director Chuck Osieja told PCGamesN. The impact on you at home: It sounds like my love of PC gaming and the gritty Gears of War series won’t have to be mutually exclusive for much longer. 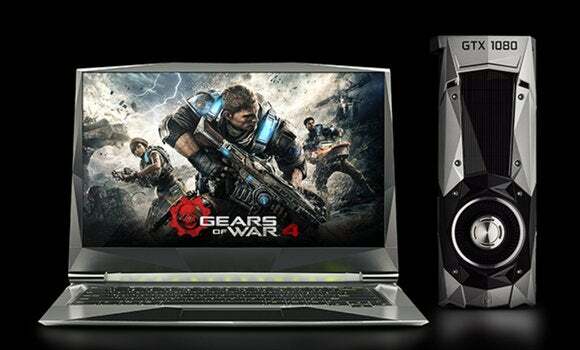 Gears of War 4 launches on October 11, though any Nvidia GeForce GTX 1070 or GTX 1080 graphics cards or GTX 10-series-equipped laptops purchased at authorized sellers from today onwards will get you a copy of the game.